One Line One Stroke is a simple way to get some brain training exercise everyday. 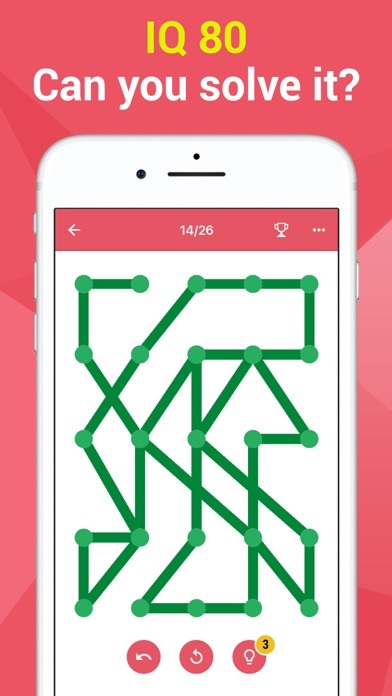 This is a great mind challenging game with simple rules. Just try to connect all the dots with only one touch. In this tricky mind game you will find a lot of good brain puzzle packs and a daily challenge. 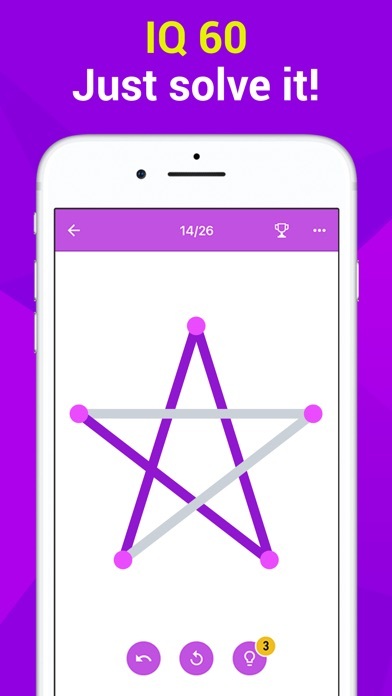 Just a couple of minutes a day with this mind game will help you activate your brain. 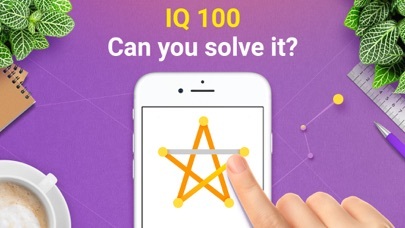 Enjoy this brain training game at home or at work, at a park or in a bus, in other words everywhere! In One Line One Stroke you will find: • Hundreds of challenging packs. 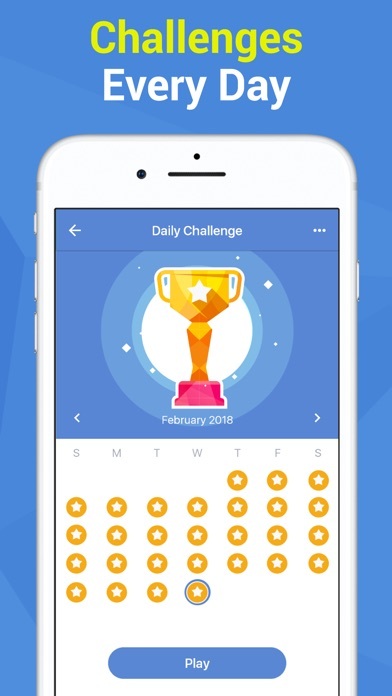 All of them are free • Daily challenges. 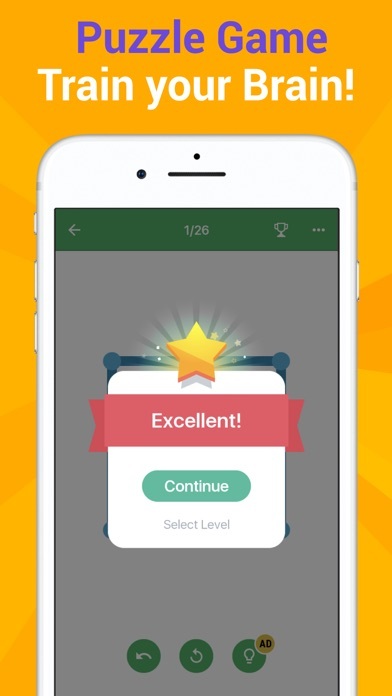 Train your mind with smart brain puzzles everyday • Hints. In case you find yourself stuck and without any idea how to connect the dots with one touch. You are welcome to use hints! 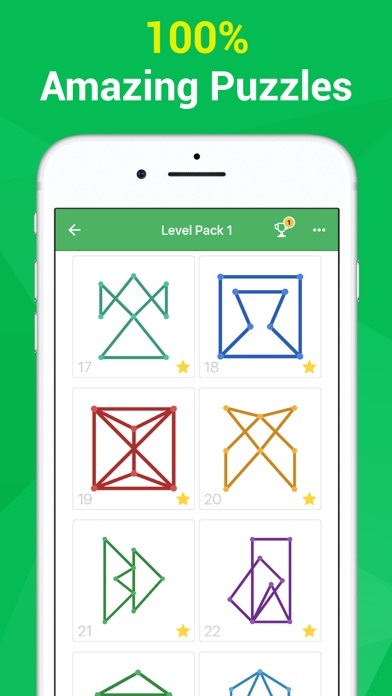 Only 1% of people can complete some of the puzzles in this game. Can you complete them? SHOW ADS LESS OFTEN PLEASE! I understand that you as developers make money by showing ads during gameplay, however the amount of ads shown in “One Line” are far too frequent to make the game enjoyable. Maybe instead of an ad every time you restart or complete a puzzle, make it every 3 or 4 restarts and every other completion. I would have given this 5 stars but there are way to many ads! A purchase option to avoid ads would be fantastic. This game is merely an Ad platform. I had not played for 1 minute before getting hit with the first ad. I just closed it then promptly deleted it. It’s my first time using One Line and I already love it it gets harder and harder each step and helps you. It is fun and also challenging and it uses a good brain and it is very exciting for me.